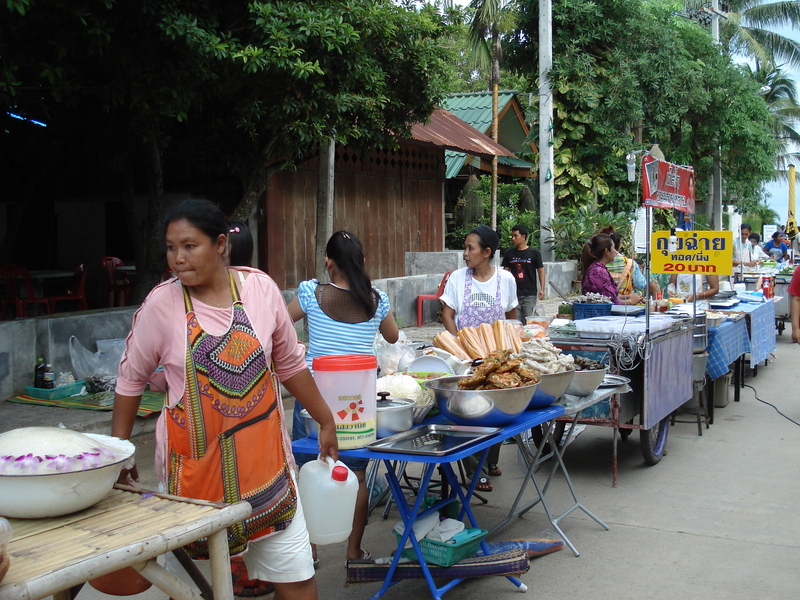 Sundays in Lamai mean one thing — the “Happiness Walking Street”. About four blocks are turned into a pedestrian zone of food and shopping and entertainment for the evening and everyone comes out to enjoy all the action. 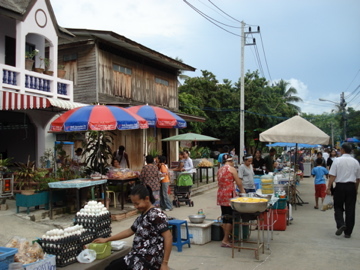 Surprisingly, the market is, for the most part, extremely local and not necessarily for the tourists. The food is incredible and cheap, and at one place you can get a delicious mojito made with fresh mint for US $1.30. You can just roam around, grazing and munching and drinking. Half the time I don’t know what the hell I am eating, and sometimes communication is difficult, but hey, trying new things is fun. And we are extremely lucky in that this happens just around the corner from our house! Here are some pictures from the last Walking Street. 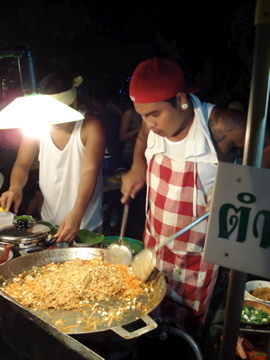 Better have a big wok if eight people order pad thai at the same time! Looks good as well as fun. 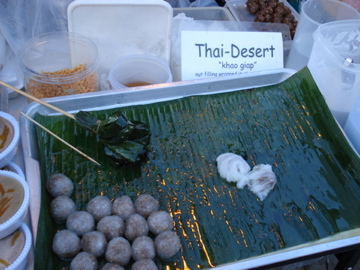 A bit like Trini at Carnival time… food everywhere!